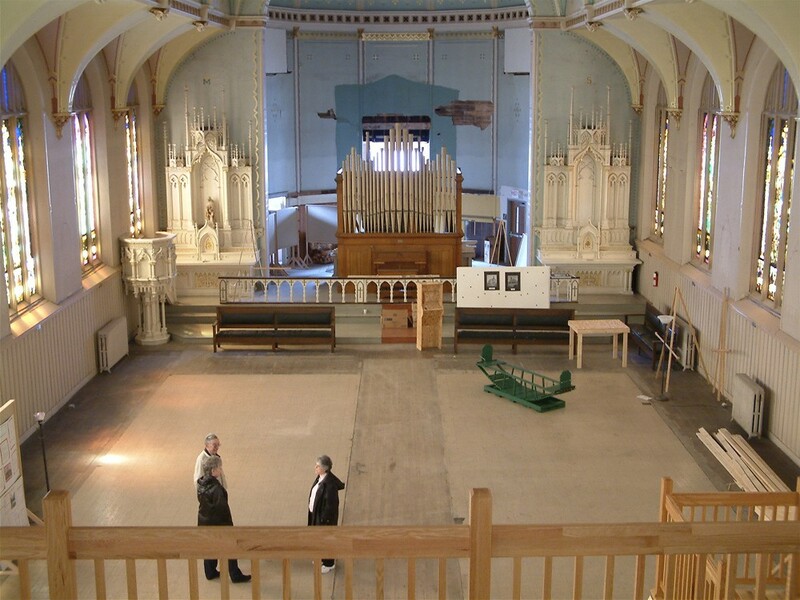 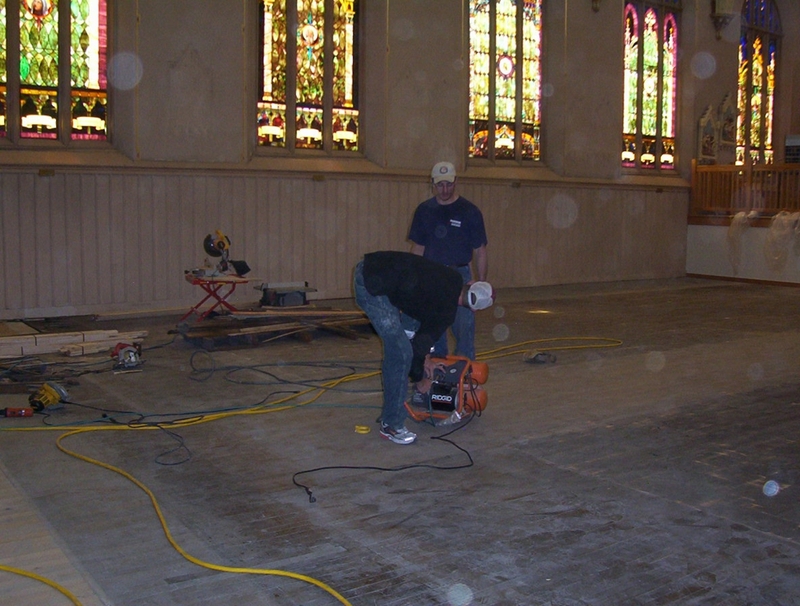 This gallery contains photos of the renovation process at the Keweenaw Heritage Center and contains pictures of the inside and outside restoration of the building. 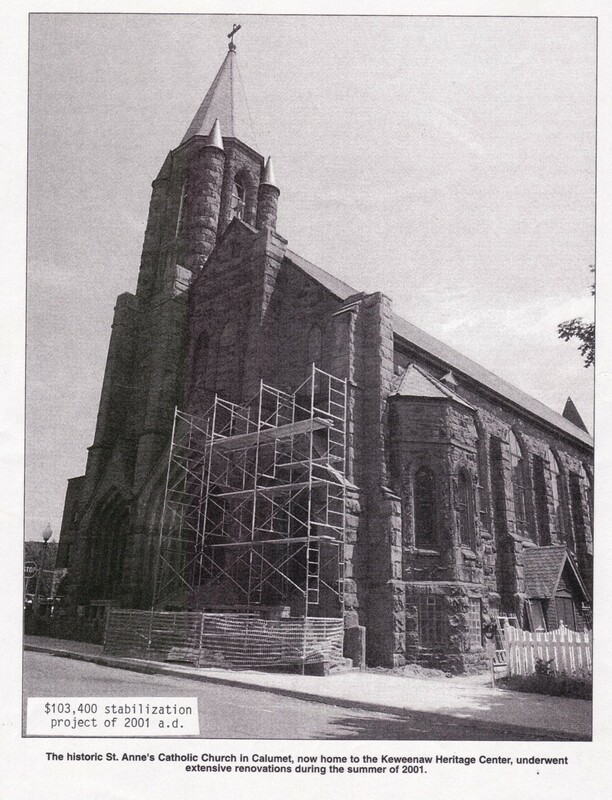 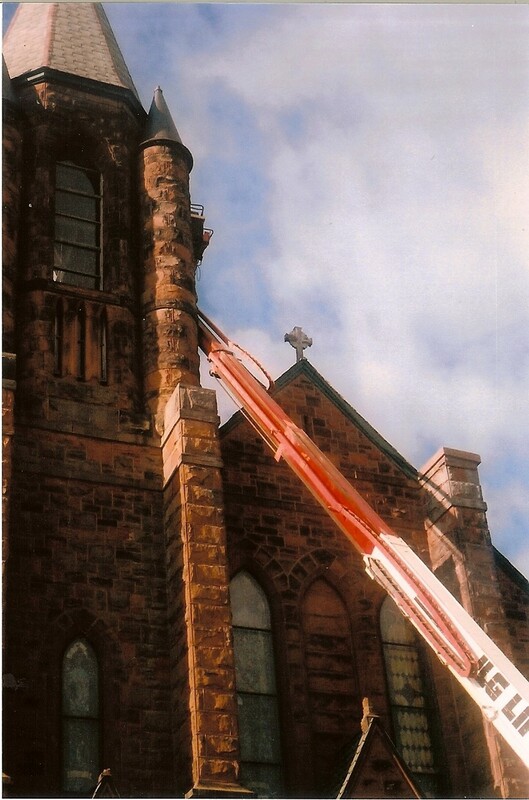 Work on the steeple and towers. 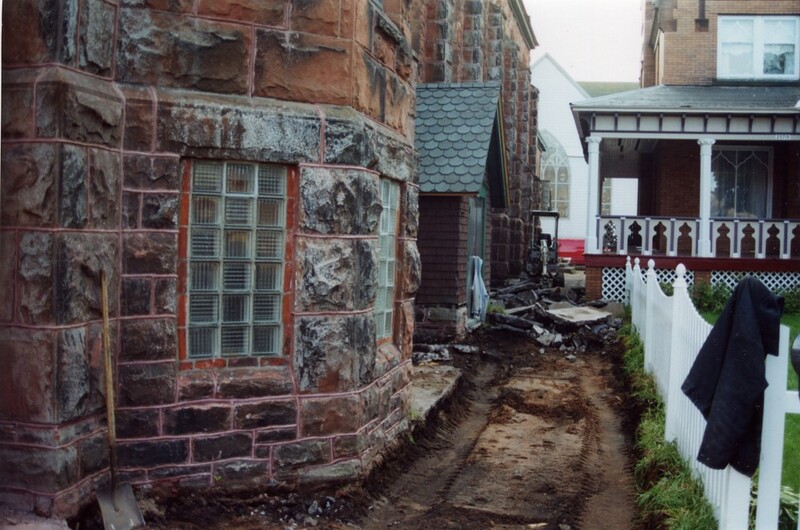 A new sidewalk was added between the Keweenaw Heritage Center and former rectory. 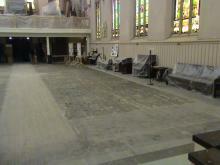 Improvements made to the front entrance. 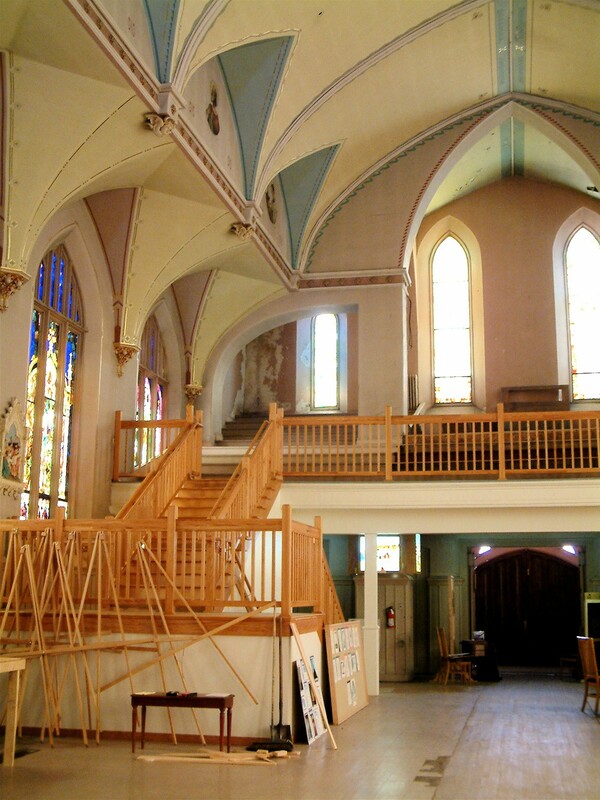 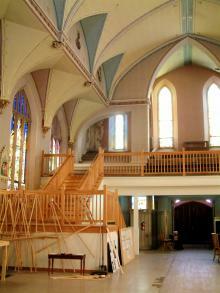 The stairway from the main floor to the choir loft in progress. 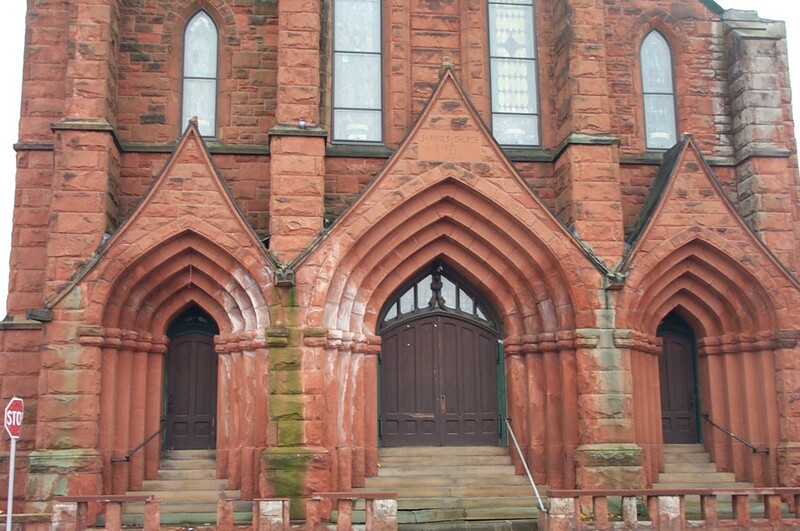 Post tree removal and new doors added to the entrance. 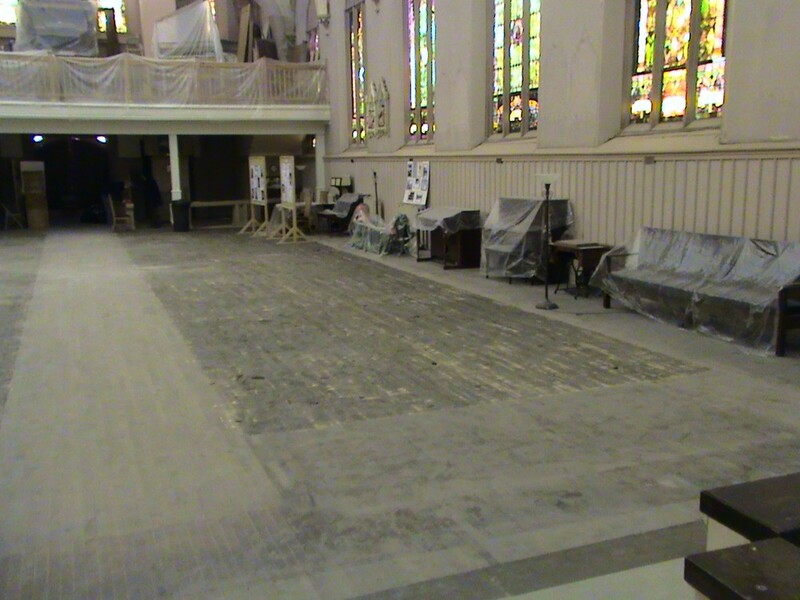 Work in progress on the main floor. 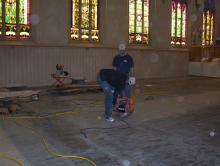 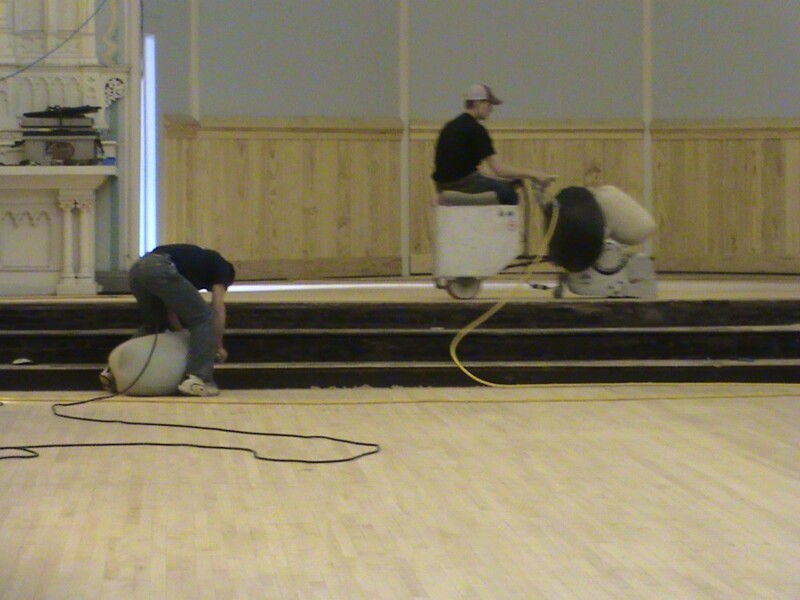 Installation of the flooring on the main level and altar. 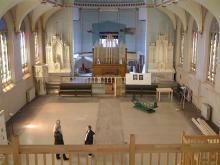 A view from the choir loft of the main floor. 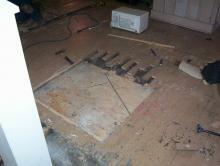 The hole in the main floor to the basement is repaired. 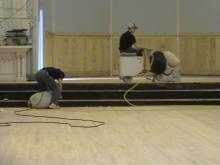 More main level floor installation.